Definitively diagnosing food allergies in dogs is very difficult, and may be the reason behind the number of myths that surround the condition. Let's look at the truth behind some of the more common myths. Myth #1: Generally, dogs are allergic to corn, wheat, soy and other plant-based ingredients. In reality, dogs are usually beef, dairy, and other forms of protein. A study was done in which 278 cases of food allergies in dogs were tested to find the problem ingredient, and protein sources were found to be responsible for 231 cases! Myth #2: Changing the brand of food you feed your dog will help with their allergies. Dogs are allergic to specific ingredients, not brands. If your dog is allergic to beef, you need to look very closely at the ingredients list and find a food that is completely beef free. 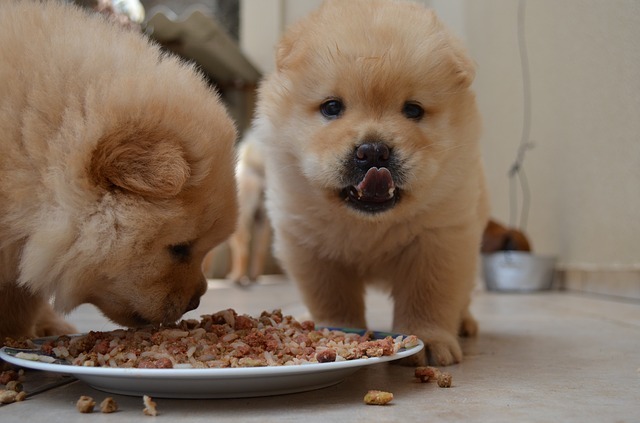 Most pet foods will contain more than one source of protein and carbohydrates. For example, it is not unusual for a food labeled 'Chicken and Gravy' to also contain beef. Myth #3: If you have never changed your dog's diet, it is unlikely that they have an allergy. Dogs can develop food allergies at any time in their lives, regardless of dietary history. Myth #4: If your dog is allergic to their food, they will have diarrhea. Symptoms of food allergies change from dog to dog. Some dogs have intestinal issues, such as vomiting or diarrhea, but not all dogs. Other symptoms include itchiness (resulting in excessive biting, scratching, or licking), and recurring infections. Food allergies cannot be ruled out, simply because your dog is not exhibiting intestinal issues. If you suspect your dog may have a food allergy, consult your veterinarian. They can help you find a food that will keep your dog's symptoms under control, while still ensuring that your dog maintains a balanced diet, essential for supporting good health.